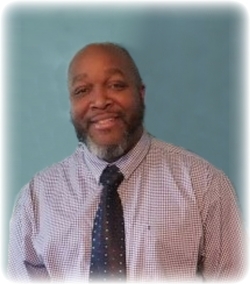 James Anthony “Flip” Rawls., 53 passed away on May 28, 2018. He was born on August 11, 1964 in Queens, New York to parents James Henry Rawls of Sandersville, Georgia and the late Vivian Jones Rawls of Queens, New York. James graduated from Far Rockaway High School in Queens, New York. After high school, he completed a four-year apprenticeship with the Sheet Metal Local 100 to become a Journeyman. He spent his career working as a Sheet Metal Journeyman with over 20 years of dedicated service with Local 100. On September 7, 1990 he married his beloved wife, Dena A. Rawls in Waldorf, MD. Together they celebrated over 29 years of marriage. He was a talented artist and woodworker. He was detail oriented and made many exquisite cutting boards. He assisted in designing and creating the cartoon characters in Thunder Cats. He was an excellent cook and grill master and loved to entertain family and friends. One of his many delicious specialties was grilled salmon with watermelon and peaches and a sweet bourbon glaze. He was an avid fan of the New York Giants and New York Yankees. He loved to travel and one of his favorite travels was to Puerto Rico. He loved his friends, family, and especially his grandchildren. He loved being a member and Worshipful Master of Nehemiah Mason Lodge 1064. In addition to his father, James is also survived by his wife, Dena A. Rawls, of Lexington Park, MD; children: DeShaun Donte Simon of Springfield, VA, Jazmine Charnae Rawls of Oxon Hill, MD, and JuVanie Nikole Rawls of Lexington Park, MD; siblings, Derek Rawls of Staten Island, NY, Gregory Rawls of Harrisonburg, PA, and Dwayne Rawls, of Asheboro, NC, Calvin Jenkins, of Far Rockaway, NY; grandchildren: DeShaun Donte Simon, Jr. of Springfield, VA, DeMari Davon Simon of Springfield, VA, and Maddox Elise Koi Moore of Woodbridge, VA. He was preceded in death by his mother and his sister, Alisha Rawls. Family will receive friends on Saturday, June 9, 2018 from 1:00 p.m. to 4:00 p.m., with a Funeral Service at 3:00 p.m. at Brinsfield Funeral Home, 22955 Hollywood Road, Leonardtown, MD 20650. Interment will be private. This entry was posted on June 9, 2018 at 5:17 am and is filed under All News, Obituaries, z Obituary Ad Top. You can follow any responses to this entry through the RSS 2.0 feed.